What’s one of the biggest drivers behind this growth? Millennials and their ease with embracing new personal finance tools, from online banking to peer-to-peer payment apps like Venmo. Count prepaid debit cards among this generation’s favorite things. According to a survey from TD Bank, one-third of 18 to 34-year-olds use prepaid cards, compared to one-fourth of the general public. Lavens’ experience mirrors those of the majority of prepaid debit card users. In a 2014 report from the U.S. Federal Reserve, 59% of cardholders agreed the cards helped them spend less and better manage their money. For that reason, Lombardo recommends prepaid cards to his clients who seek more control. In the past, many families used envelopes of money to stay within a budget, Lombardo said. This is primarily how Lavens uses hers. Like 63% of U.S. millennials, Lavens doesn’t possess a credit card. She was not eligible for one. There are a couple reasons credit card usage is disproportionately low among young adults. Since the passage of the Card Act in 2009, it’s become more difficult for Americans under 21 years of age to be approved for credit cards. Secondly, growing up during a recession and facing historically high amounts of student debt has made millennials wary of spending money they potentially don’t have. Prepaid cards fill the gap between cash and credit cards, Lombardo said. They’re more convenient than carrying cash, but offer more control. 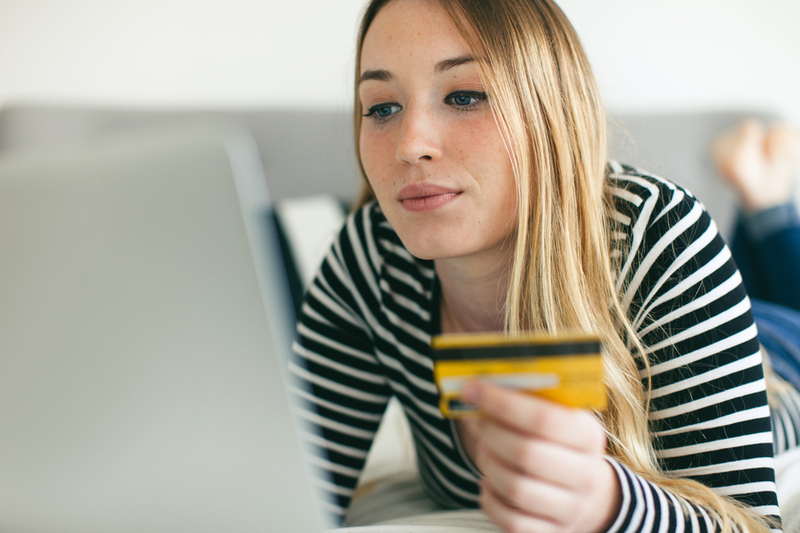 In addition, you can use prepaids card online—and not just for shopping, but for cashing checks, receiving direct deposits, paying bills, and sending money to friends or family members. Regarding concerns about fees, Lombardo said it’s fairly easy to avoid almost all fees by using the ATM network, choosing paperless billing, and using the card at least once a month.